Do I own it: Yes! What it does: Keeps your bike upright and stable when loading it with goodies. Who would love it: People that don’t like when their bike falls over and/or that uses their bike to haul lots of things. Other comments: Obviously, the whole point of a cargo bike is to load it like a pack mule. Because you have to load one side at a time, it’s easy for the bike to tip over. The double kickstand allows the bike to stay stable and upright as you pack it with whatever it is you want on the back of your bike – whether it’s bags of groceries or a box full of mason jars. The double kickstand is also extremely helpful and a major safety bonus when you are using your Boda Boda to transport children, particularly in the peanut shell baby seat. 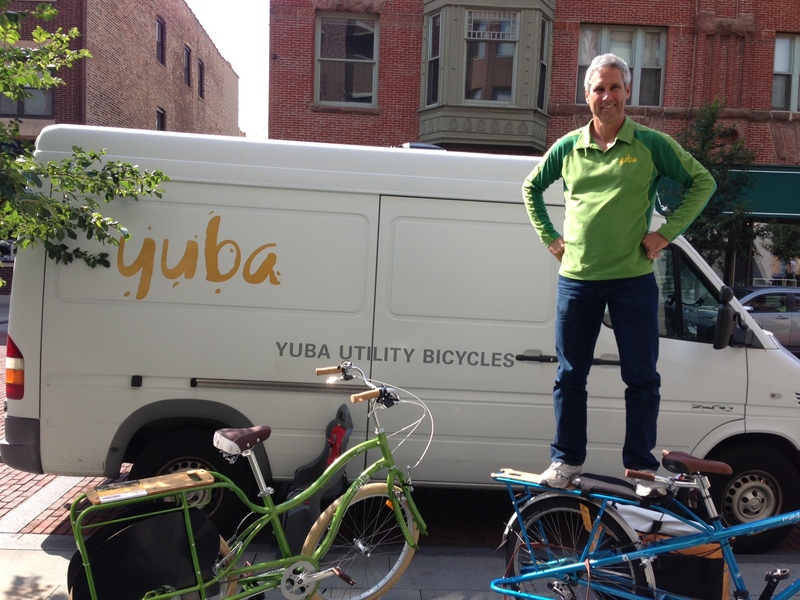 The bad news is that you can only use this Yuba kickstand on a Yuba bike. However, if you can find a double stand for your bike, I’d strongly recommend it. Not that you’re supposed to, but the double stand does make it possible to actually stand on your cargo bike. 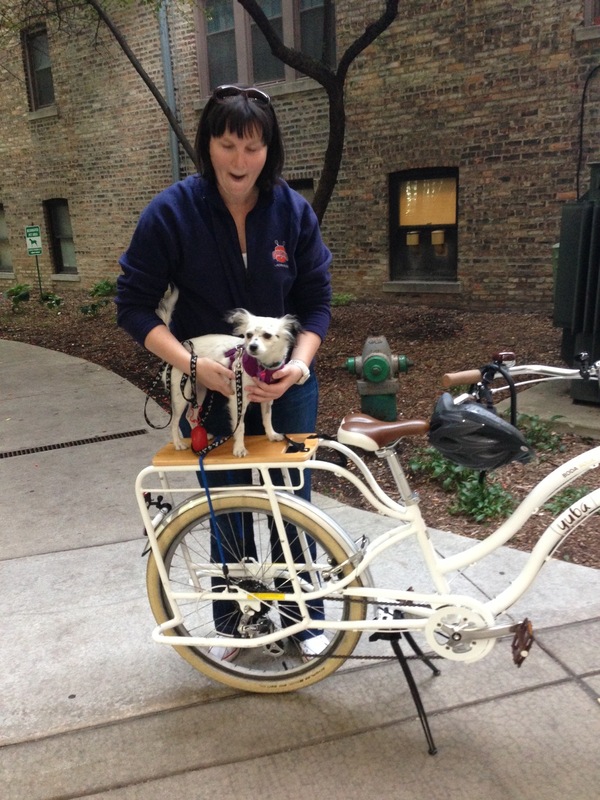 The double kickstand also allows adorable puppies to stand on your bicycle. Please excuse any mistakes. Message was sent from my tablet.